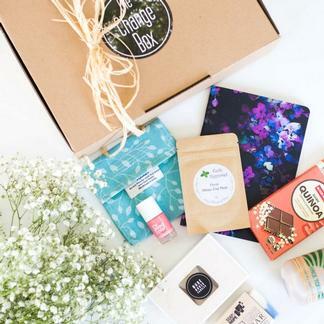 The Change Box is a subscription and gift box filled with plant-based luxurious, natural beauty products, delicious snacks and lovely homewares that focus on doing good in the world. Whether it be focusing on sustainability, helping disadvantaged communities or giving back. Our mission is to introduce you to caring, ethical brands with hearts to change the world. We hand-pick exciting, unique products and send them straight to your doorstep! Be the first person to tell us what you think about The Change Box and you'll save $5 on your next purchase!